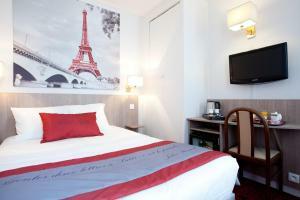 This hotel is located just 500 metres from Champ de Mars Park, leading to the Eiffel Tower. It features a 24-hour reception and modern guest rooms with free Wi-Fi access. 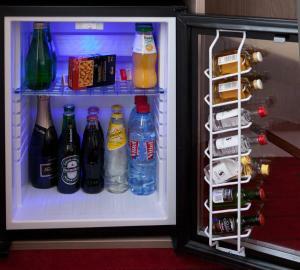 Each soundproofed guest rooms is equipped with a minibar and a TV with satellite channels. All rooms have a private bathroom including a hairdryer. Most rooms are serviced by a lift. A continental breakfast is served every morning at the Saphir Grenelle and can be enjoyed in the garden during the summer. 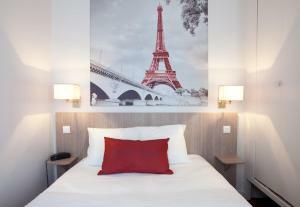 The Saphir Grenelle is 1.6 km from the Hotel des Invalides. La Motte-Picquet-Grenelle Metro Station is just 84 metres away, providing access to Opéra Garnier. For any stay longer than 7 days, the first night will be charged from your credit card. This amount will be deducted from the total amount of your reservation. 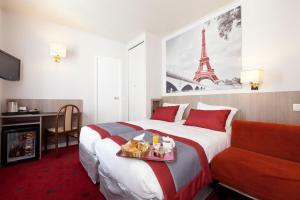 For any booking of more than 5 rooms, the total amount of the reservation is due upon arrival. Please note that a minimum € 50 deposit for the minibar in each room will be requested by credit card or cash upon your arrival. Please note that for Non-Refundable rates, full payment is requested upon check-in. This room features free Wi-Fi, a TV with satellite channels, and a desk. The en suite bathroom has a shower and includes a hairdryer and free toiletries. Rate: € 140.43 ... € 289.00; select dates below to get current rates. 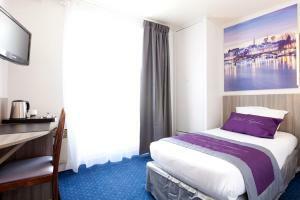 This larger room features a double bed, free Wi-Fi and a flat-screen TV. 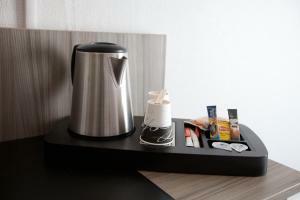 It provides a paying minibar and facilities for making hot drinks. The private bathroom is complete with a hairdryer and free, eco-friendly toiletries. 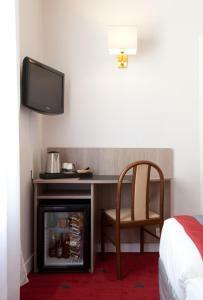 This room features free Wi-Fi, a flat-screen TV as well as a paying minibar and facilities for making hot drinks. The private bathroom is complete with a hairdryer and free, eco-friendly toiletries. This room features free Wi-Fi, a flat-screen TV as well as a paying minibar and facilities for making hot drinks. The private bathroom is complete with a hairdryer and free, eco-friendly toiletries. Please note that these rooms are not accessible by lift. Room located on the first two floors of the hotel.